Fig. 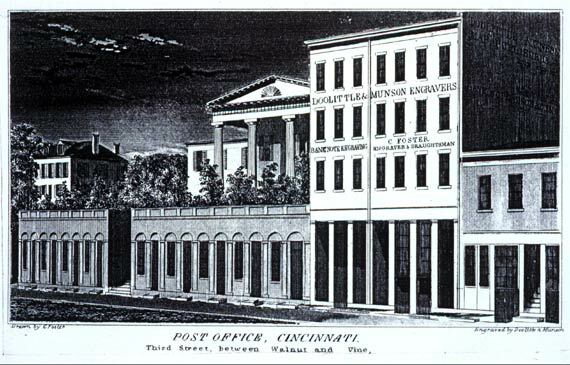 2.19 Post Office, Cincinnati. / Third Street, between Walnut and Vine. Drawn by C. Foster; engraved by Doolittle & Munson. Engraving. 3&6/16 x 6 in (8.57 x 15.24 cm). Charles Cist, Cincinnati in 1841 (Cincinnati: printed and published for the author, 1841), facing p. 156. Archives and Rare Books Department, University of Cincinnati.